Found in Monroe County, Key West has a population of about 25,700 residents. The city is also one of the most popular islands in Florida. Many visitors come to the area every year to enjoy the amazing beaches. Monroe County has a population of about 75,000 residents and includes all of the islands of the Florida Keys. With so many visitors and a number of full time residents in the area, the roads can be come rather dangerous. Many different driving styles end up throughout the keys. The main road providing access to Key West is US Route 1. There's only one way in and one way out of the Florida Keys. While the tropical climate draws many visitors, the rainfall makes the roads very dangerous during the wet season. Hurricanes can also hit Key West causing difficult driving conditions. Spring break brings a rise in drivers under the influence every year. Traffic accidents in Key West and Monroe County are on the rise. If the traffic laws were not enforced in Key West these statistics would be far worse. In Monroe County, about 13,800 tickets were given out in 2015. About 7,900 of the tickets were given for speeding and another 1,178 were given for careless driving. Only about 21% of the tickets issued were dismissed, which means there's not much of a chance of your ticket getting dismissed. Having a suspended license in Key West may not seem like a big deal since you can walk or bike to many places. However, being able to drive provides freedom that can be taken away if you get too many traffic tickets in a short amount of time. If you end up with enough tickets for 12 points in one year, you will lose your license for 30 days. Getting 18 points in 1.5 years will lead to a 90-day suspension and 24 points in 3 years will lead to a one-year suspension. After a license suspension, you will need to pay a re-instatement fee to get it back. Your insurance rates will also go up quite a bit. In addition, if you try to drive with a suspended license and you get caught, you will face up to $500 in fines and 90 days in jail. 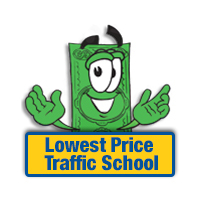 Traffic school or the basic driver improvement course allows you an option to keep points off your license. If you recently received a traffic ticket, you may be able to use online traffic school in Key West to keep the points off your license. The process is very easy. Start by pleading guilty or no contest to the ticket and pay the fine to the clerk of the court. Make sure to tell the clerk of the court you plan to enroll in online traffic school. Then, enroll in the basic driver improvement course and complete it. Once you have completed the course, you will receive a certificate of completion, which needs to be turned into the clerk of the court. That's all it takes to keep points off your license and keep your car insurance rates from going up. 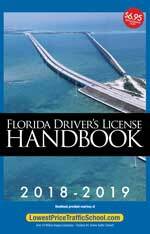 As a Florida driver, you get to take the basic driver improvement court up to 5 times in your lifetime. However, you can only use the course once every 12 months to avoid points on your license. If you're unsure of your eligibility, just ask the clerk of the court. Traffic tickets issued by any law enforcement agency in Key West are handled by the Monroe County Clerk of the Court. The clerk of the court will take your payment, answer any questions and take your certificate of completion from online traffic school. If you need more information about the Monroe County Clerk of the Court, you can find it on the website.